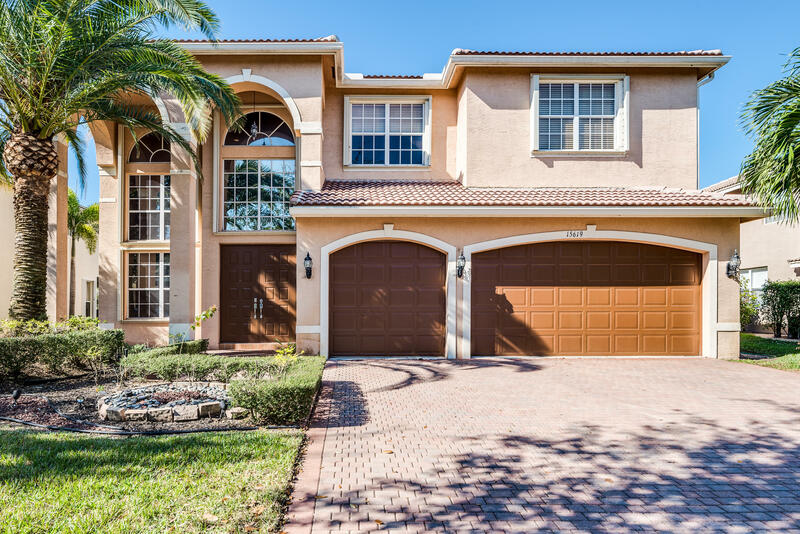 SPECTACULAR VICTORIA MODEL LOCATED IN SATURNIA ISLES A GUARD GATED COMMUNITY HOME HAS 6 BEDROOMS 4 BATHS 3 CAR GARAGE WITH OVERSIZED POOL/SPA & PATIO AREA WITH BEAUTIFUL LAKE VIEWS. HOME HAS DOUBLE DOOR ENTRY WITH HIGH VAULTED CEILING WITH CROWN MOLDING THRU OUT, GOURMET KITCHEN W/ NEW APPLIANCES AND GRANITE COUNTERTOPS, ALL CLOSETS HAVE BEAUTIFUL BUILT INS, HOME COMES WITH A GENERATOR THAT PLUGS IN PANEL TO OPERATE PARTIAL HOME. OWNER PURCHASED HOME FOR $785,000 ANDHAS PUT OVER $200,000 IN IMPROVEMENTS!!!! OWNER WANTS TO SELL!!! COMMUNITY HAS A CLUB HOUSE WITH POOL, EXCERSIE ROOM, TENNIS COURTS & BASKETBALL THIS IS A MUST SEE HOME!! !